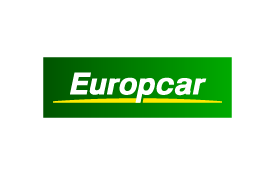 Europcar is Europe’s leading car rental provider, offering one of the world's largest rental networks and a wide choice of vehicles from economy to prestige. Europcar provides customers with mobility solutions to meet their changing needs and puts customer satisfaction at the forefront of its business. Get behind the wheel with Europcar and drive away with up to 1,000 Skywards Miles. Choose from over 4,000 stations in over 140 countries. Please quote your Emirates Skywards membership number and tier when you book online or over the phone. Earn 600 Skywards Miles on every eligible rental. If you’re a Gold or Platinum member, you’ll earn an additional 200 bonus Miles when you book via www.emirates-skywards.europcar.com. Simply present your Emirates Skywards membership card at the rental location to be eligible. When you book a premium car, you’ll earn a total of 1,000 Skywards Miles for your rental. Retroactive Miles collection is only permitted within 12 months of the rental.